BACKTOFRANKBLACK.COM: "Re-opening the X-Files" online podcast promotes BacktoFRANKBLACK.com! "Re-opening the X-Files" online podcast promotes BacktoFRANKBLACK.com! 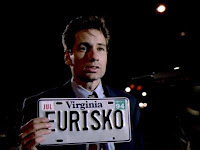 Listen to "Re-opening the X-Files":Episode 7 - "Ghost In The Machine" and catch the aural promo for "BacktoFrankBlack.com"! "Re-opening the X-Files offers downloadable podcasts that each focus on a single episode of Chris Carter's acclaimed series. This particular episode focuses on "Ghost In The Machine". "In this episode I recap "Ghost in the machine" I also talk about character development in the Monster of the week episodes, and give my initial reaction on the I want to believe movie." Well worth a listen. Any comments - positive or negative, email- xfilesopened@yahoo.com. 0 Responses to ""Re-opening the X-Files" online podcast promotes BacktoFRANKBLACK.com!"